Thank you for your interest in Mardi Gras! Galveston, celebrated February 22 – March 5, 2019. Our mission is to build upon the success of the event each year with our vendors, customers, balcony parties, parades and more. Vendors are an important part of the Mardi Gras experience! 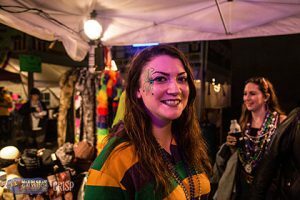 Revelers look to vendors for food, merchandise, and a variety of gifts and novelties to complete their Mardi Gras! Galveston experience. 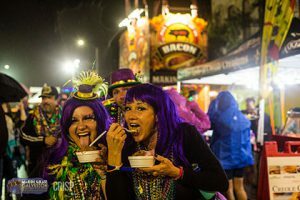 Paid admission allows spectators to stroll through 12 city blocks, experiencing live music, extravagant Mardi Gras! Galveston parades, as well as various balcony parties and festivities. The Uptown Entertainment District has a rich, Texas history. With original building architectures from the 1800’s, gas lamps lining the streets, and cobble stone walkways giving the District a grand and unique ambiance. The Strand was originally built as a business district in the 1800’s, and today it is considered to be a premiere Gulf Coast tourist attraction, making Mardi Gras! Galveston one of the largest festivals in Texas. Mardi Gras! Galveston is a heavily promoted event with a well-established and growing audience. 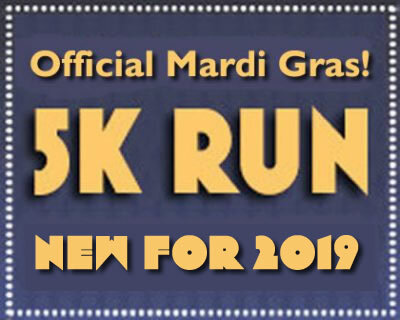 We invite you to be a part of this exciting opportunity and continued success of Mardi Gras! Galveston 2019. Again, thank you for your interest in becoming a vendor at one of Galveston’s largest annual event. We appreciate your business and continued support!